The Timeless Grace collection of luxury wedding stationery is available from Oxfordshire based wedding stationery company, VivienB's, and is available as Save The Date, Wedding Invitation, Evening Invitation, Order Of Service, Table Plan, Menus, Guest Personalised Mini Menus, Table Name/Numbers, Guest Name Place Settings and Thank You Cards. 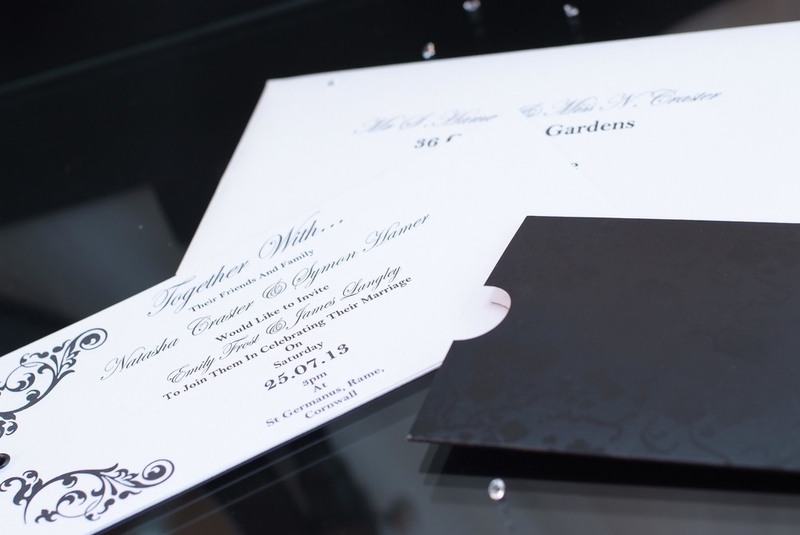 An opulent collection for the fanciest of affairs with two invitation formats available. 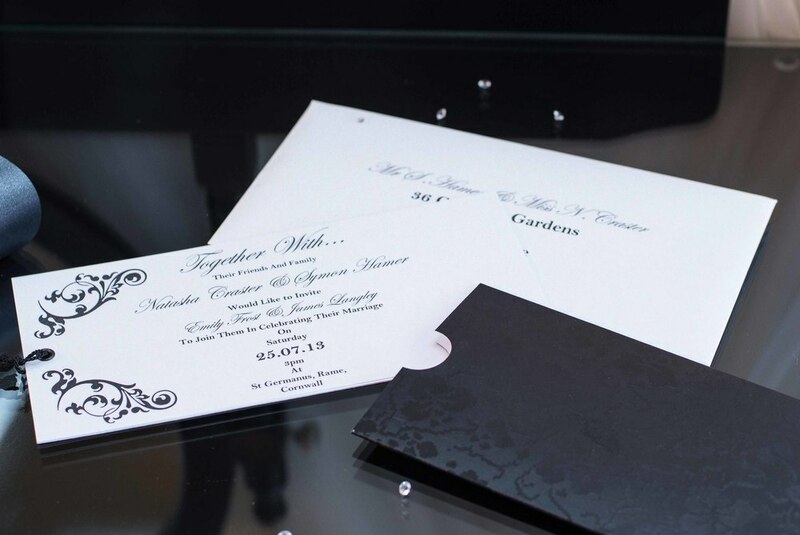 Available in Black, Cream or White as standard with plain white or cream envelopes. 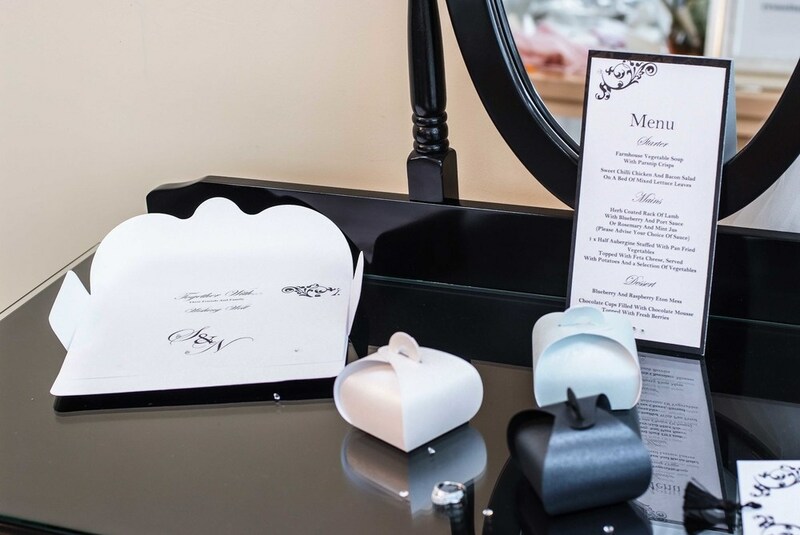 Just one of the beautiful wedding invitation and stationery ranges available at VivienB's of Oxford, Oxfordshire. The VivienB's Timeless Grace Collection. Internal pocket with ribbon bow detail to hold your guest information. 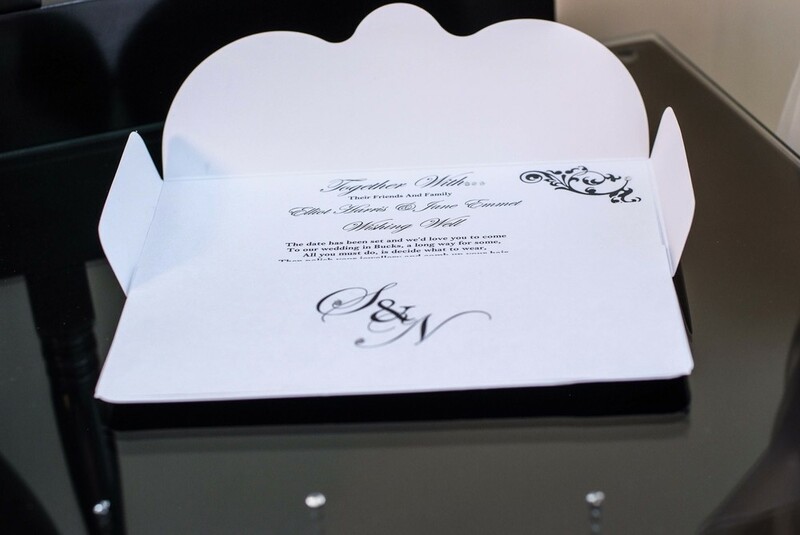 Includes invitation, two DL inserts of your choice inside an internal pocket and envelope. Option of diamante buckle to front opening. Includes DL pocket, invitation, elegantly tassel bound with two DL inserts of your choice and envelope. Additional oorder of service inserts available. 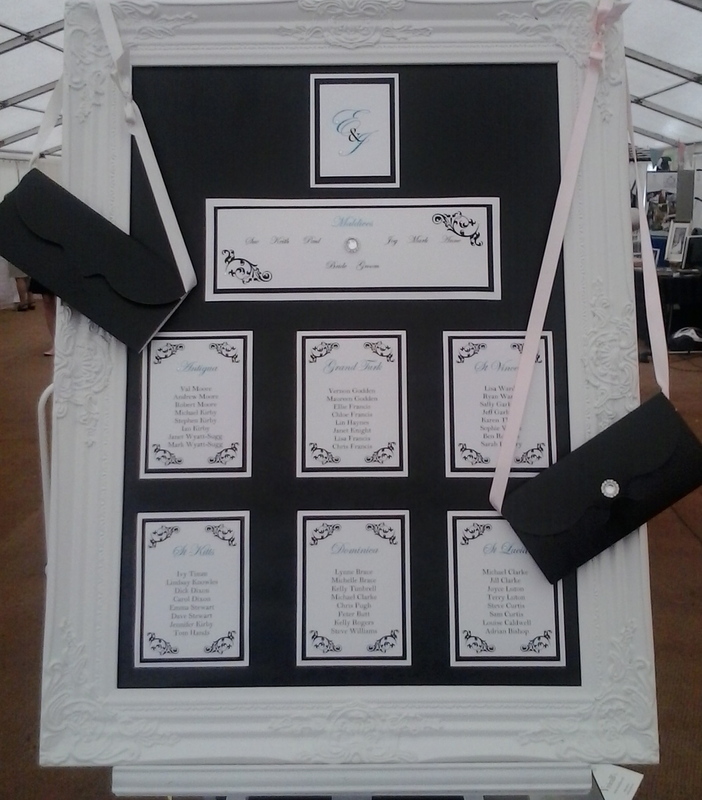 In the Timeless Grace collection design with your choice of coloured backing card and embellishments.